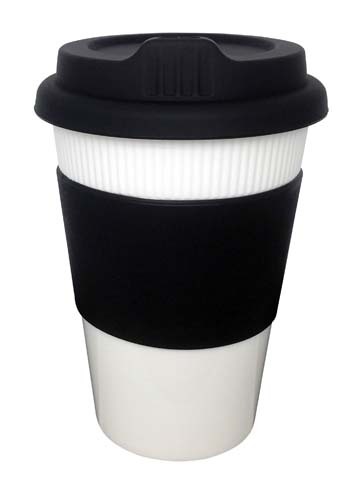 Who doesn’t love a piping hot cup of coffee? 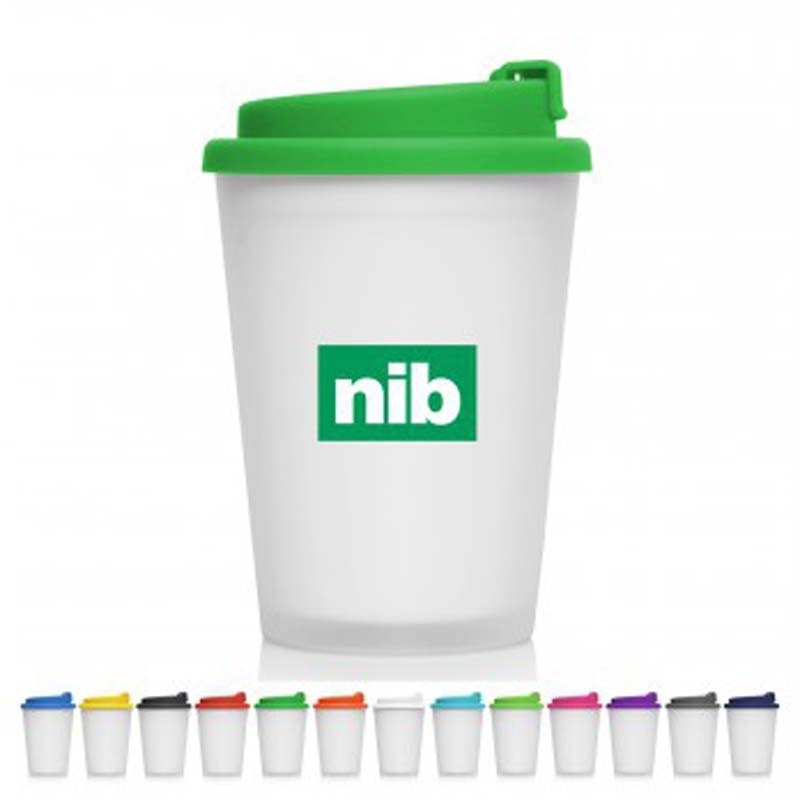 Whether you need a caffeine hit to get you going in the morning or as a pick me up in the afternoon, personalised coffee mugs are a must. 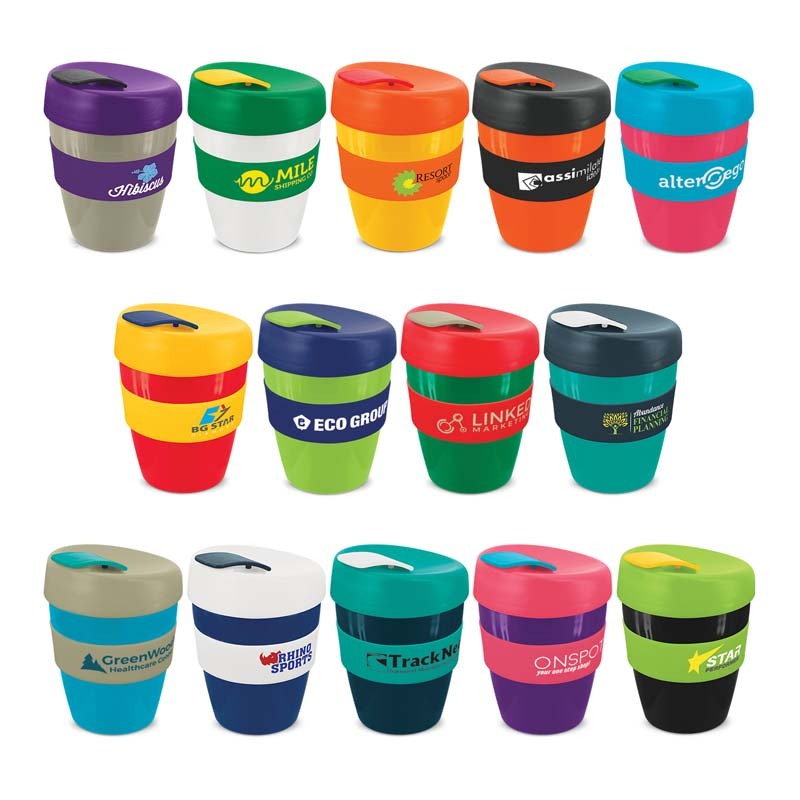 Novel Tees can supply a wide range of promotional coffee mugs – including takeaway, travel, paper, ceramic and glass – which make perfect corporate gifts for clients and employees alike. 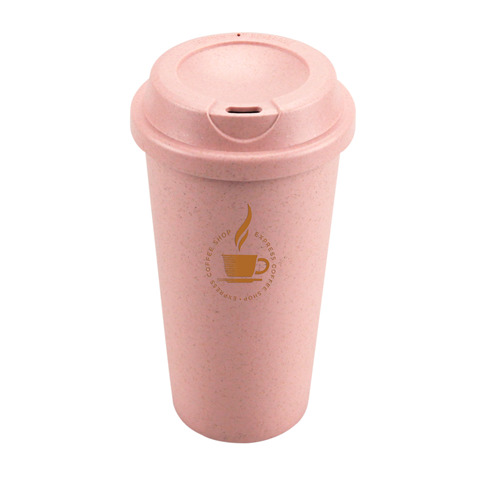 And you don’t have to be worried about the cost! 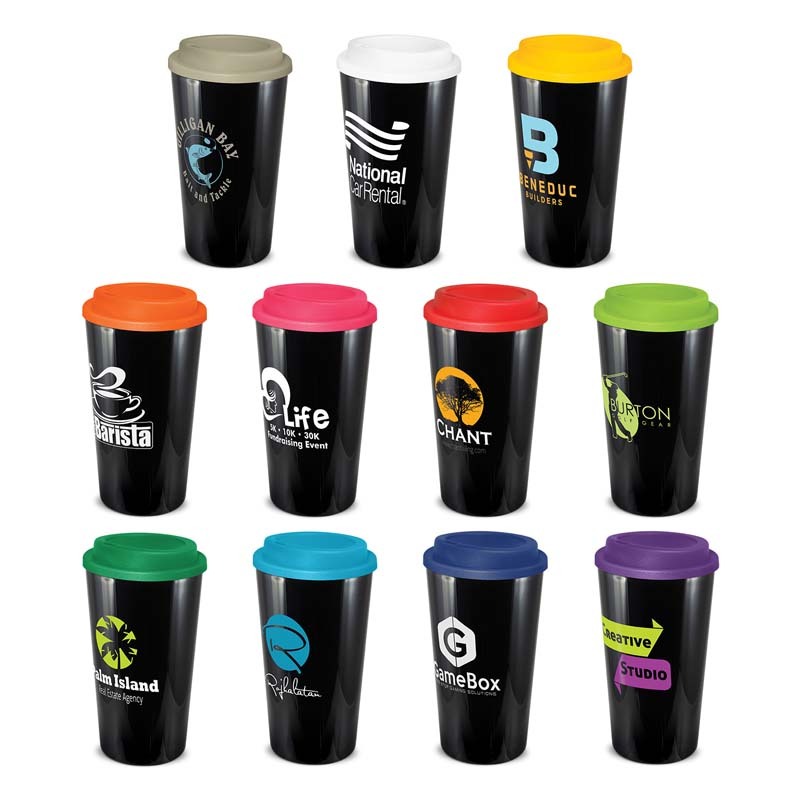 Our custom coffee cups are highly affordable, making them the perfect choice for even the strictest of marketing budgets. 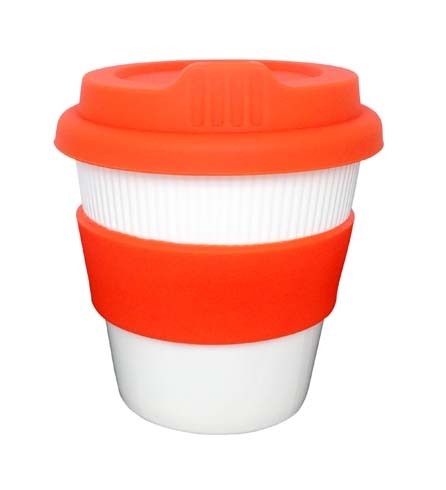 We supply an extensive selection of coffee cups, ensuring that you find your perfect match. 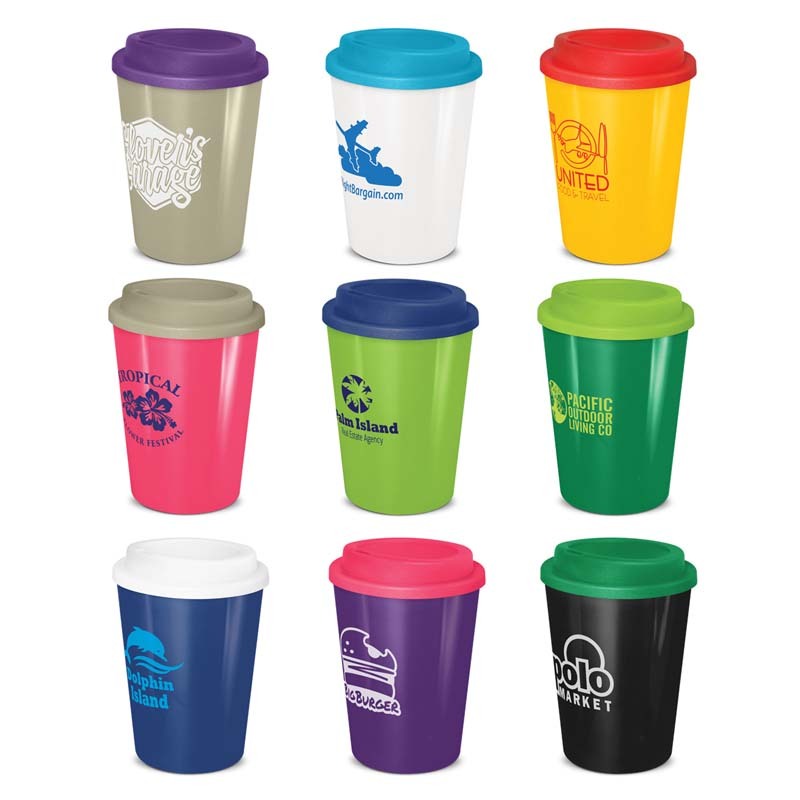 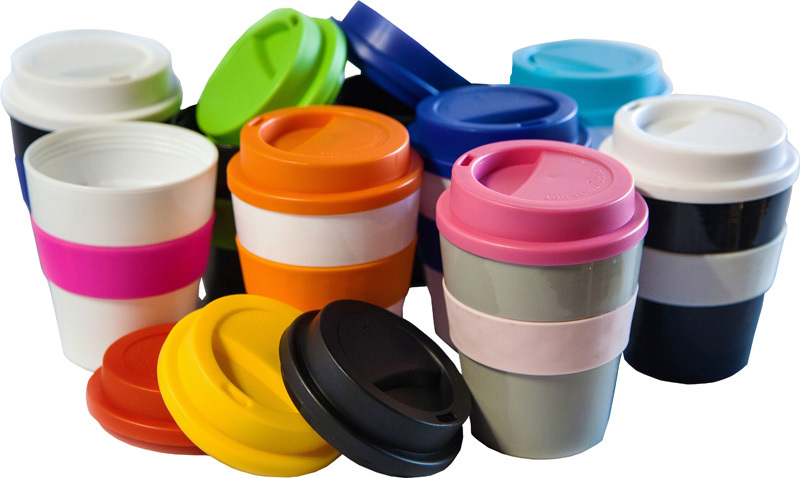 Our range includes: reusable takeaway cups, ceramic tumblers, paper cups (with lids), double wall mugs, and glass. 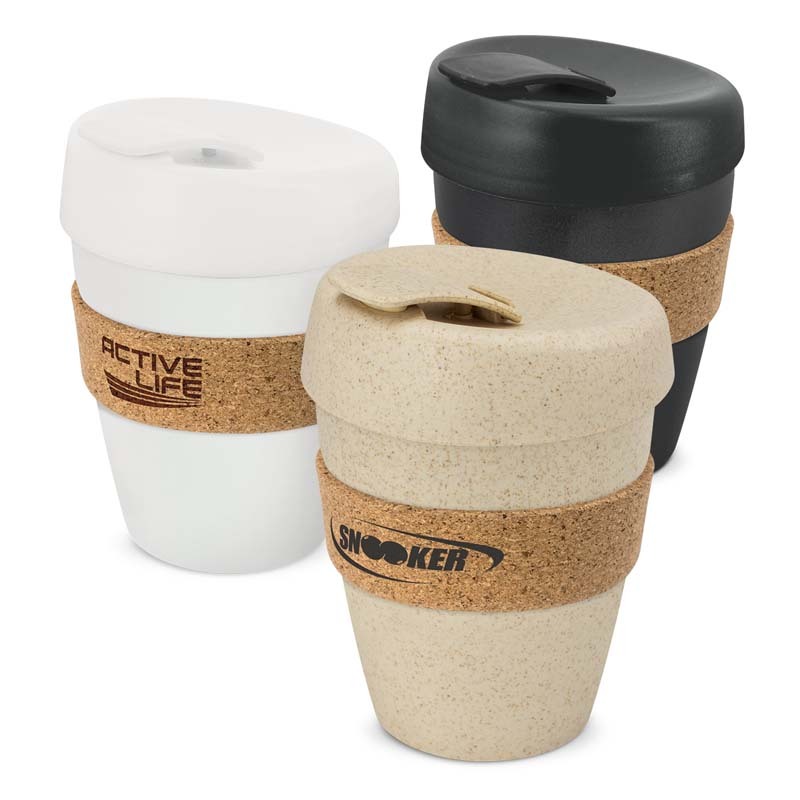 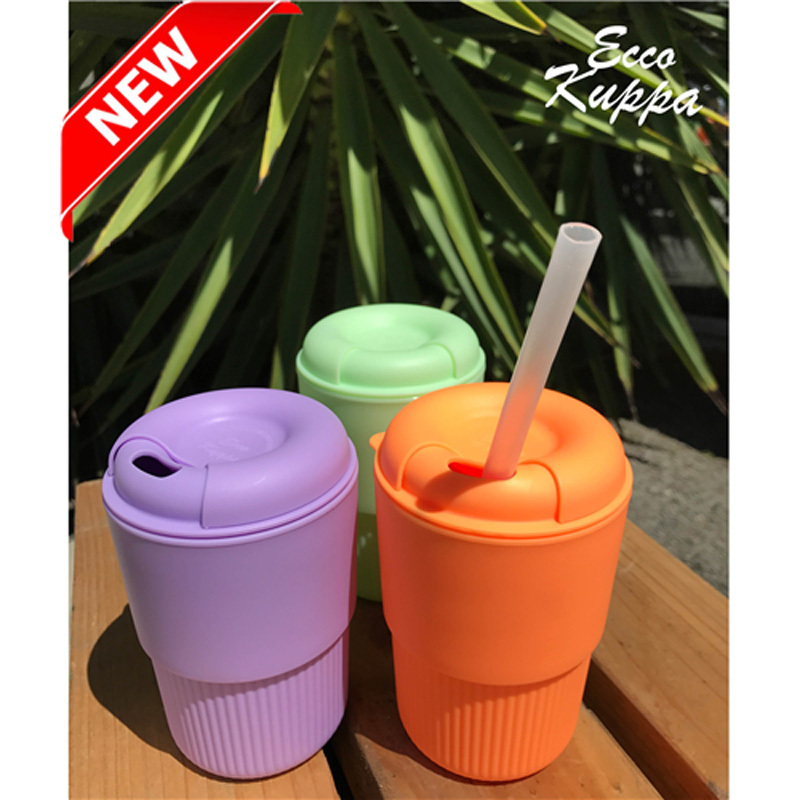 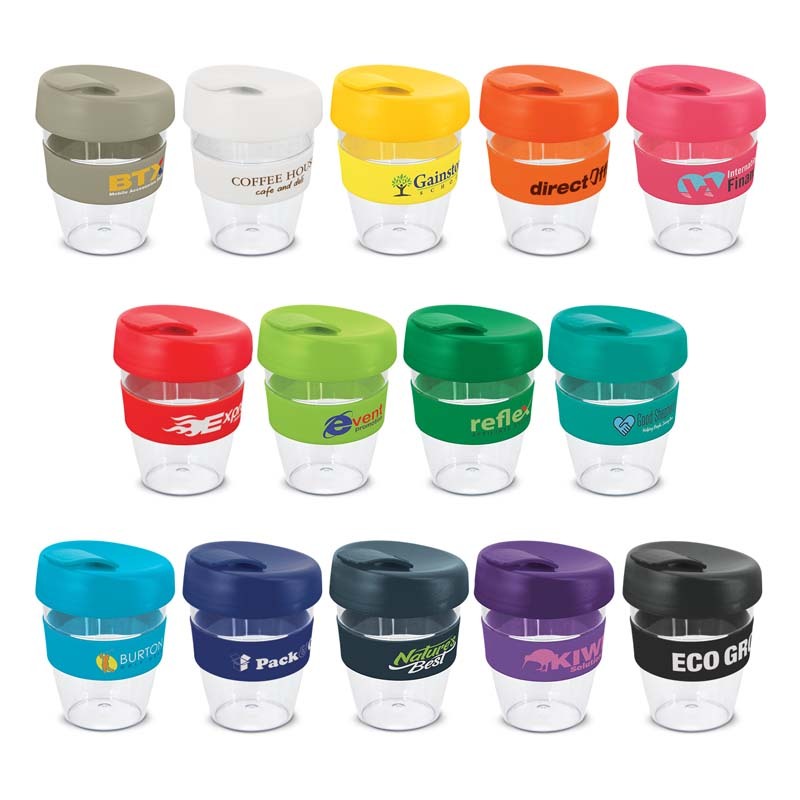 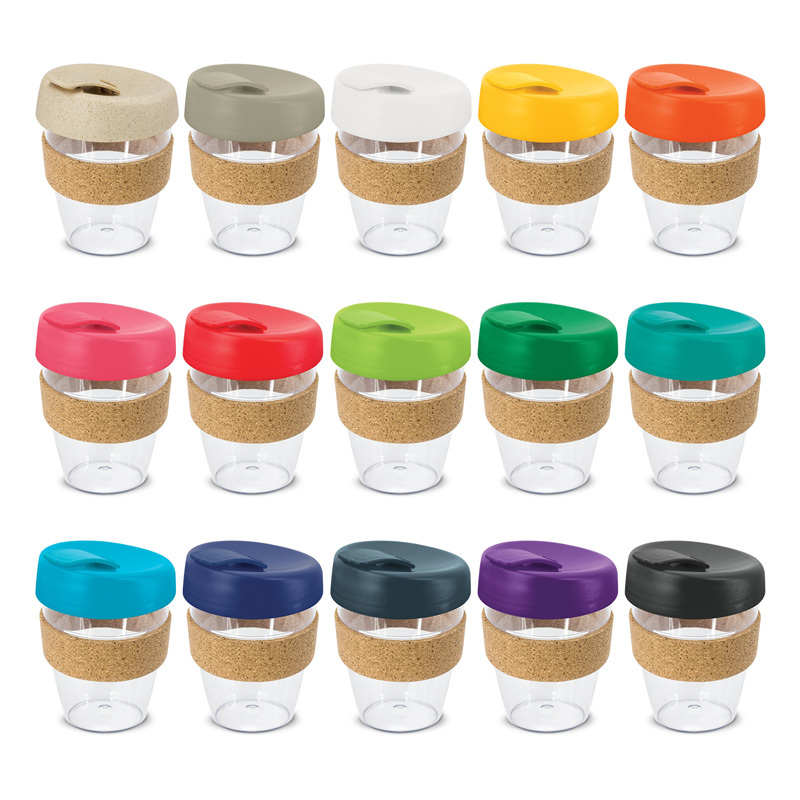 Because many of us spend a lot of time on the road, reusable travelling cups are becoming quite popular. 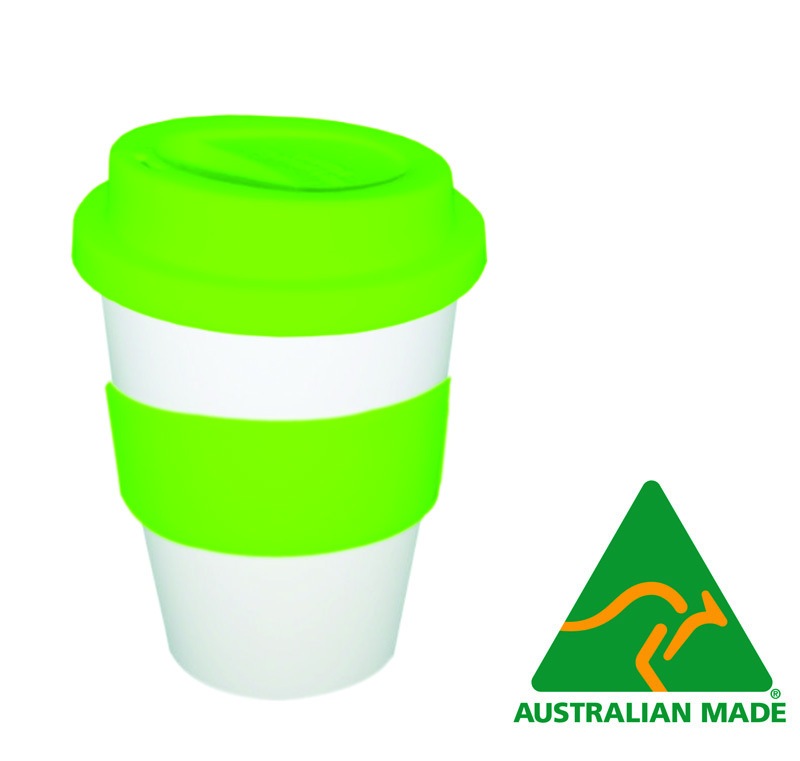 They help to reduce spillage and keep our beverages warm for much longer than traditional paper takeaway cups. 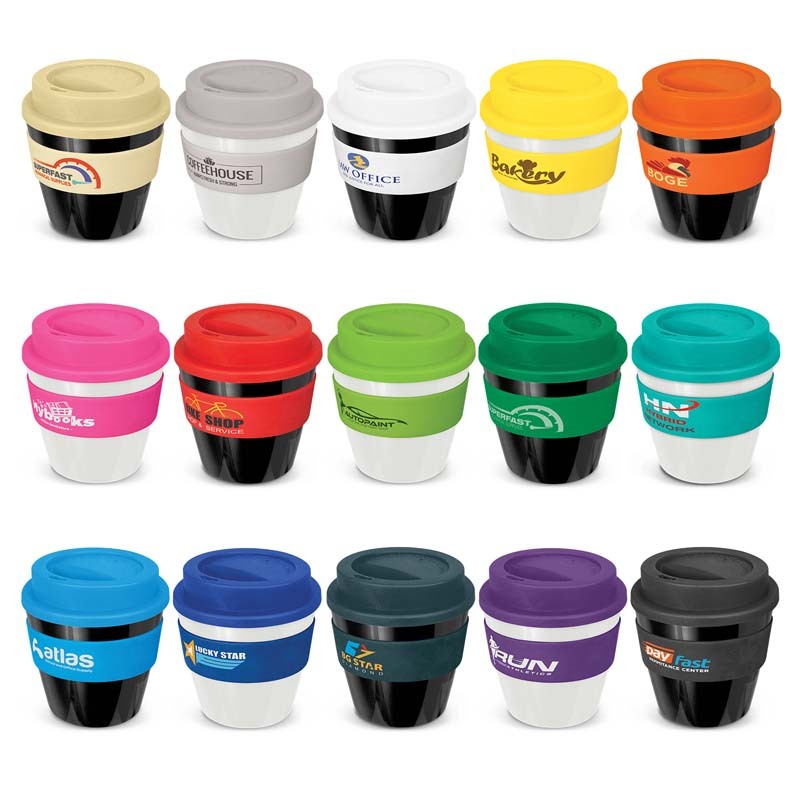 There are a number of ways to customise our coffee cups, from choosing the actual mug colour to choosing the colour of the optional sleeve. 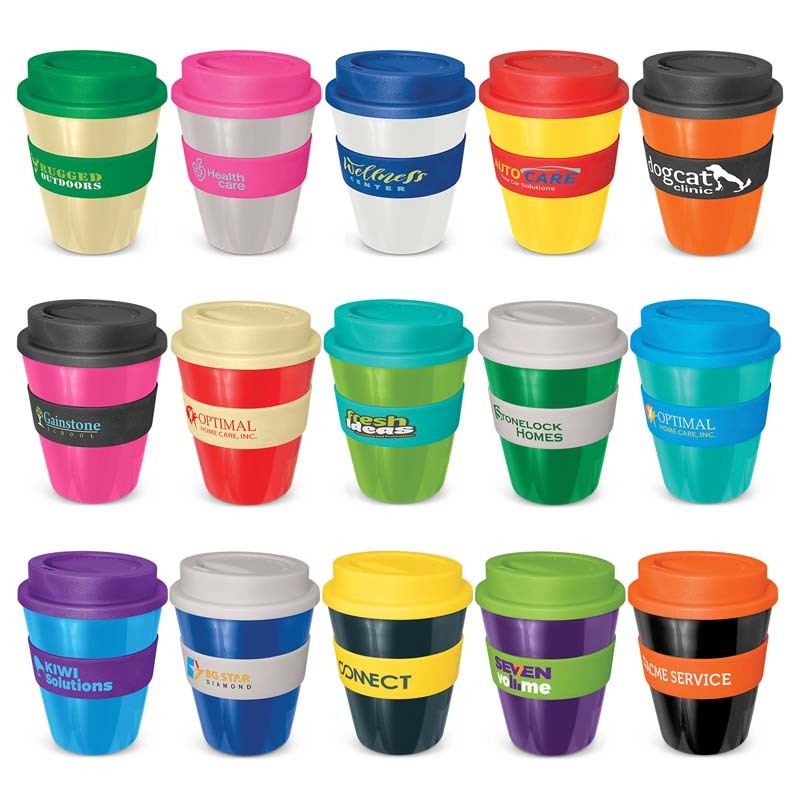 Logos and other designs can also be printed onto all of our cups, paper or otherwise. 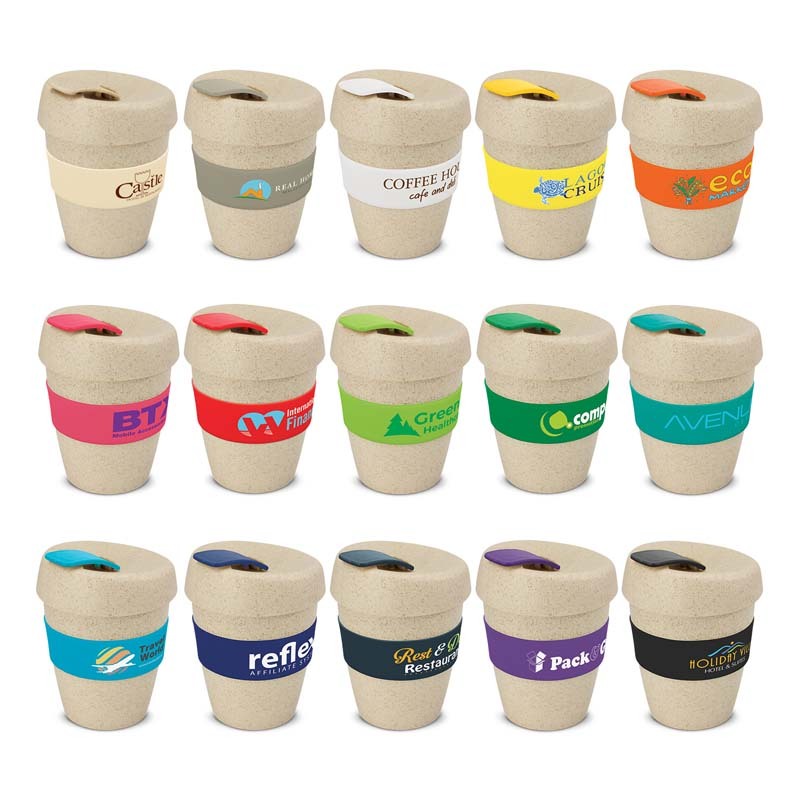 Novel Tees manufactures cups in a variety of materials to ensure that you find the most suitable one for your needs. 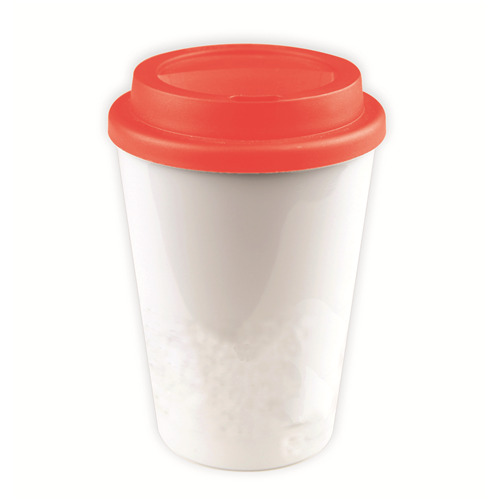 Some of our more popular materials include: polypropylene, ceramic, silicone, acrylic, plastic and paper. 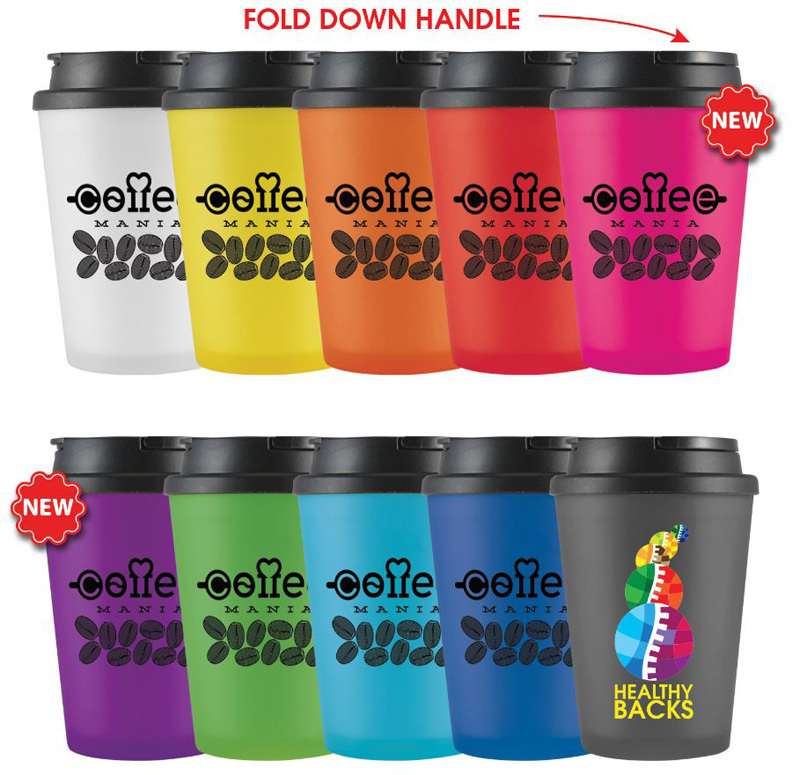 We understand that some people only need a small caffeine hit to wake up in the morning, whereas others need a much larger one. 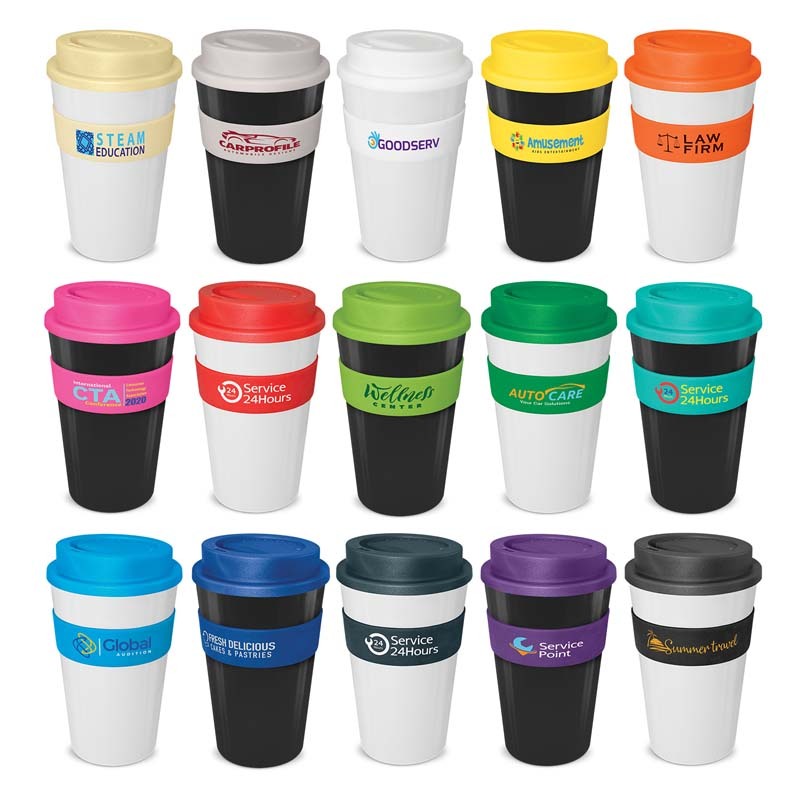 This is why we supply promotional coffee cups in the full gamut of sizes. 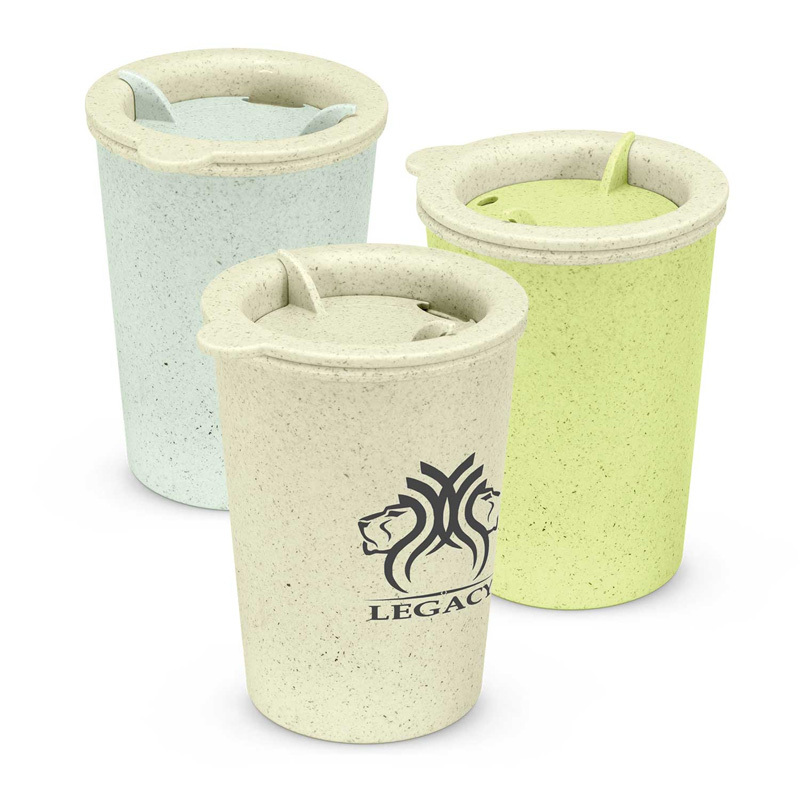 We want to ensure that your personalised coffee cup stand the test of time, which is why we only use the highest quality materials and manufacturing processes. 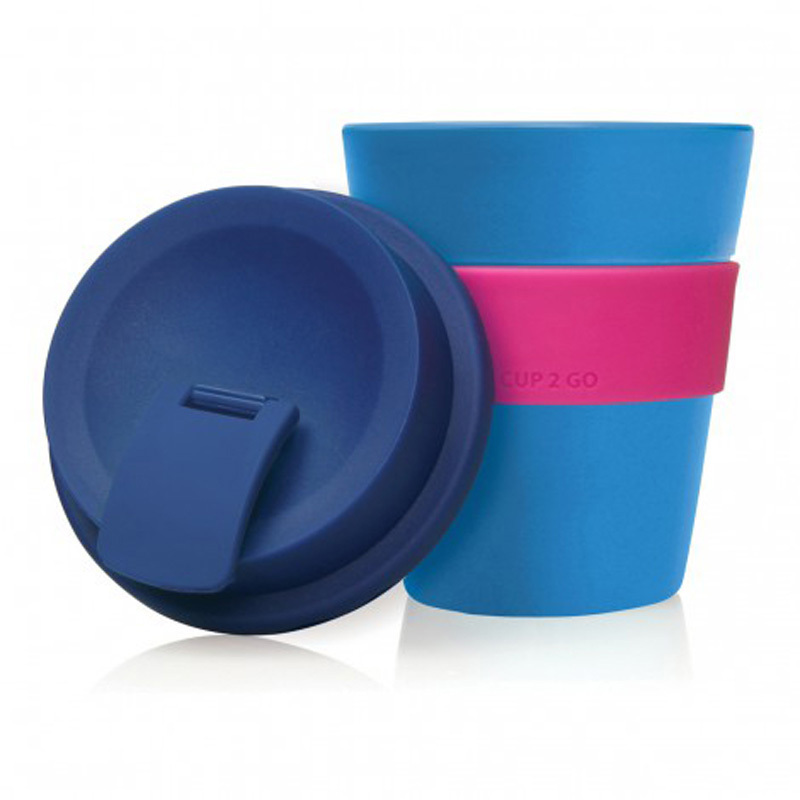 Most of our cups are also dishwasher and microwave friendly! 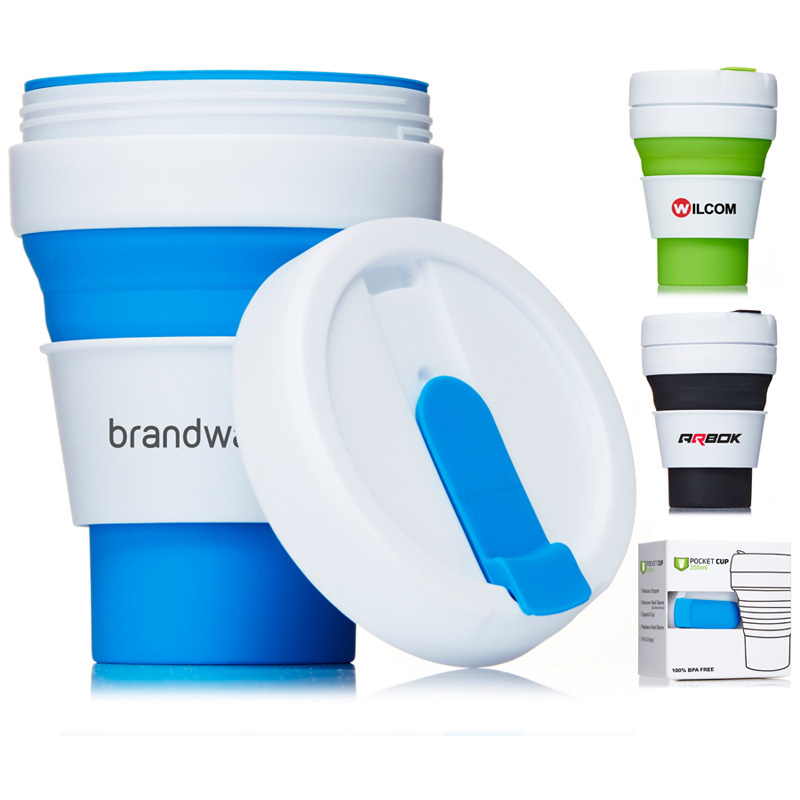 Give your clients and employees a corporate gift that they will actually use with Novel Tees range of printed coffee mugs. 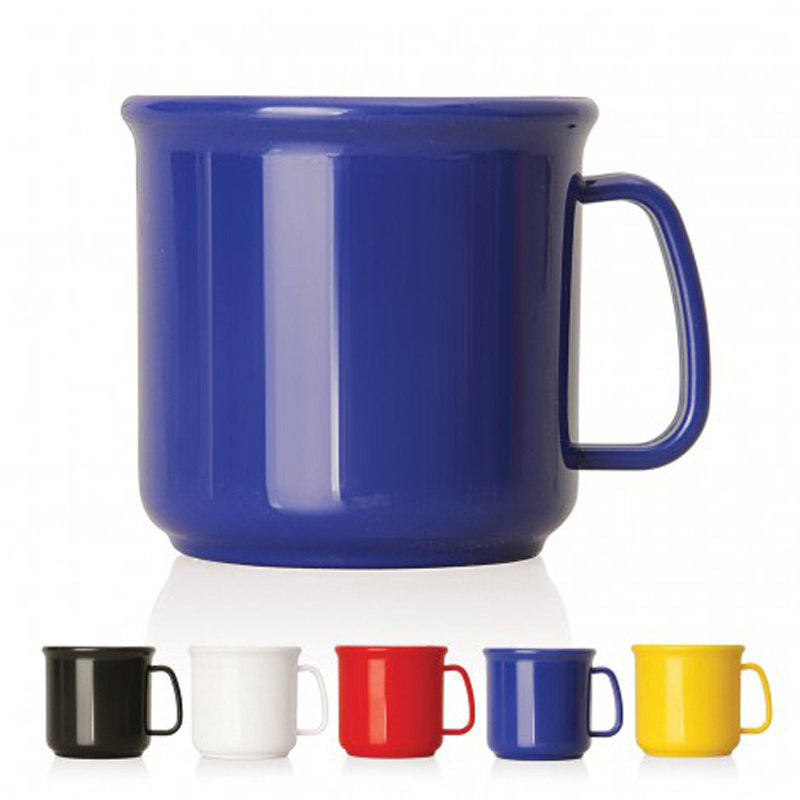 Whether you’re interested in ceramic, glass or even plastic coffee mugs, we’re sure to have just what you’re looking for!